"The doctor ordered her own family to physically hold her down"
One inherent consequence that so-called "Death with Dignity" advocates seem to ignore is the possibility that doctors and family members will pressure people into euthanasia or assisted suicide for convenience. 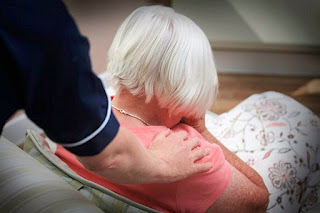 A case in the Netherlands takes that one step further, as an elderly woman was euthanized against her will by family members eager to move on with their lives. When the doctor came in to euthanize her, the patient was not informed of what was going to happen to her, to 'avoid unnecessary distress.' She was given coffee with a sedative in it, but she refused to drink it — and then struggled as the doctor tried to kill her. She fought so fiercely that the doctor ordered her own family to physically hold her down, and she was forcibly euthanized.